A few days ago, while we were crossing Paris and the corridors of the Paris Photo, we received a phone call. The voice on the other side of the phone informs us that one of our jobs could have received a prize. It was asked to Leone, the director of the film in nomination, to send a message of thanks that would have been projected, if the work in the final stages had really won. 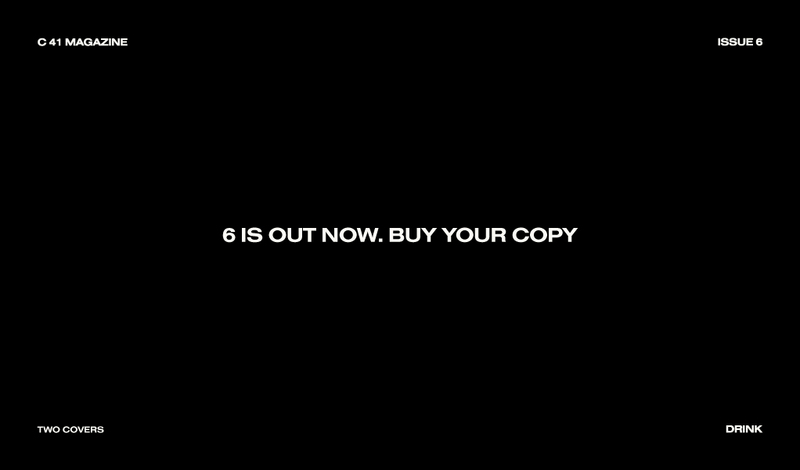 The voice belonged to a person in charge of the Aesthetica Short Film Festival and the nominated film was our C41 x adidas Originals – Waiting for the weekend. Until then, after closing the phone call, what we knew, was to have written, edited and produced a story of narrative and social value that could have built an interesting communicative study case. In a historical moment when idols come down from the pedestals and mingle with the common people, our Miky (the hairdresser) weaved the ranks of a Z generation who lives the present rapidly and awaits the future weekend after weekends. What you may not know is that C41 Magazine gave life, thanks to the merger with K48 Production, to C41 Studio. What we didn’t know is that Waiting for the weekend won the Aesthetica Short Film Festival in the best fashion film category and has now been selected by 9 other film festivals. We hope to rewrite you soon. Crossed fingers and good vision. Qualche giorno fa, mentre attraversavamo Parigi ed i corridoi del Paris Photo, abbiamo ricevuto una telefonata. La voce dall’altra parte della cornetta, ci informa che uno dei nostri lavori, avrebbe potuto ricevere un premio. È stato chiesto a Leone, regista del film in nomination, di inviare un messaggio di ringraziamento che sarebbe stato proiettato, qualora il lavoro nelle fasi finali avesse davvero vinto. 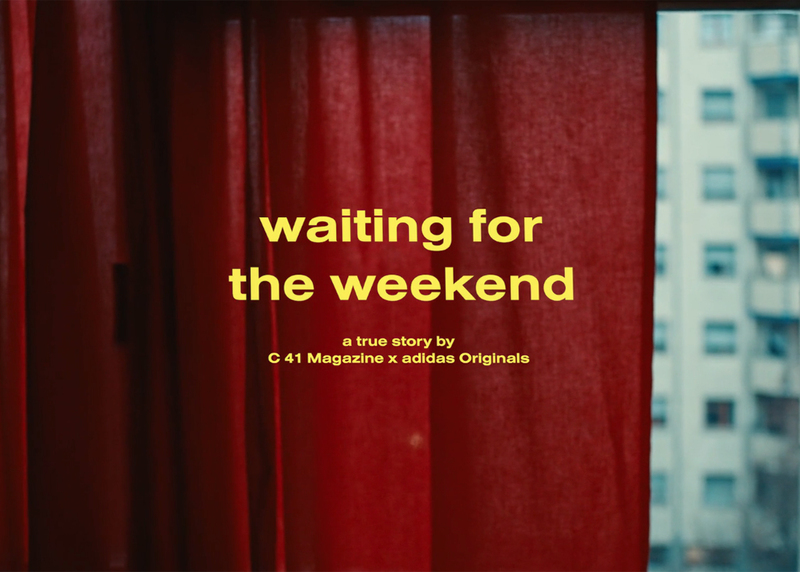 La voce apparteneva ad una responsabile dell’Aesthetica Short Film Festival ed il film in nomination era il nostro C41 x adidas Originals – Waiting for the weekend. Fino a quel momento, dopo aver chiuso la telefonata, quello che sapevamo, era di aver scritto, curato e prodotto una storia dal valore narrativo e sociale che avrebbe potuto costruire un caso studio comunicativo interessante. In un periodo in cui gli idoli scendono dai piedistalli e si confondono tra la gente comune, il nostro Miky ( il parrucchiere ) tesseva le fila di una generazione Z che vive il presente rapidamente ed attende il futuro weekend dopo weekend. Quello che forse non sapete è che C41 Magazine ha dato vita, grazie alla fusione con K48 Production a C41 Studio. Quello che non sapevamo è che Waiting for the weekend, ha vinto l’Aesthetica Short Film Festival nella categoria best fashion film e che adesso è stato selezionato da altri 9 film festival. Speriamo di riscrivervi presto. Dita incrociate e buona visione.